I already follow BPS on Facebook, but I actually didn't know they had Tumblr, so thanks for that ^^!! You're welcome :) And good luck!! Thank you Amber!! And what's your email or instagram so I could contact you in case you win?? Good luck!! I am in love with all your designs! Thank you so much! Since you don't have a gmail account I was just wondering if you had an email I could contact you at in case you win? Thank you for the giveaway! :) i follow as rachosnl on instagram and Rach Marie on GFC. Of course, I'm excited to hold it for all of you! Thank you for entering! I follow you as ChristSakes on IG.. I had no idea you had a blog as well! Very nice!! Thanks for the awesome giveaway! I love your nails and follow on instagram for inspiration. I'm addicted to nail art! Buzzed right here after seeing your ig post! So excited and happy! Thanks for the opportunity :D followed them on tumblr and liked their Facebook :D followed you as well! Thanks once again, and have a great day! 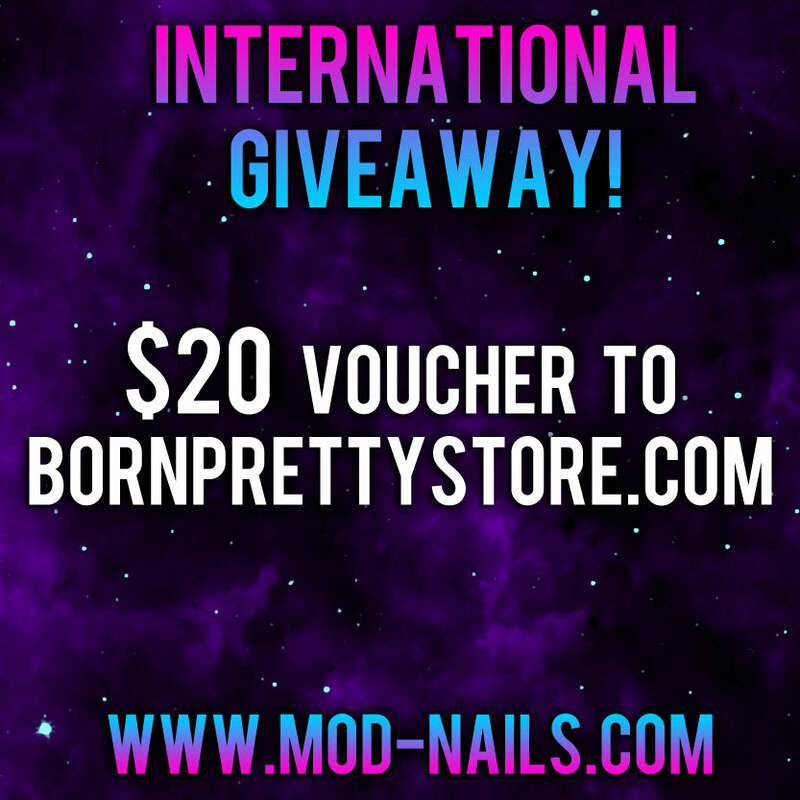 Great giveaway, they have such great stuff at Born Pretty Store. Thanks for the opportunity! My IG name is @getonmynail. Entered the contest, followed your blog and i love your instagram! Following born pretty on facebook. Please contact me through instagram not my google account! Good Luck everyone! Woohoo! 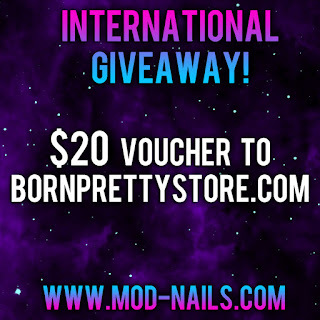 Even if I don't win, in super excited for the winner lol I love bornpretty store <3 any who I'm following you on my IG by @GettinNailed & my email is sinntheeuh@yahoo.com and I'm following bornprettys tumblr under sinntheeuh.tumblr.com :) good luck ladies! Awesome, I'm so excited but I most of all I totally love your designs, my favorite is the Disney one ohh so cute. Great Job! Hi, Born pretty store is an amazing site! I just came through it a few days back and I am loving it. I would definitely like to enter this give away. Already liked the born pretty store in FB and following your blog now! :) I dont have instagram though! Thanks for the wonderful give away! OMG I'm so excited!! I'm absolutely love BPS! I hope I win because I don't get to shop on there much because I don't have a lot of money. My if is __emily__gamez__ and my email is emilygamez1996@gmail.com good luck to everyone entering! (: and thank you for the contest!